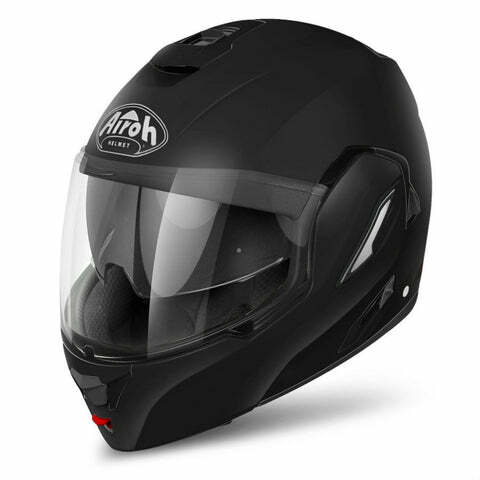 Airoh comes with a affordable mid range flip up helmet in the Rides model, offering everything a daily commuter needs from a helmet. 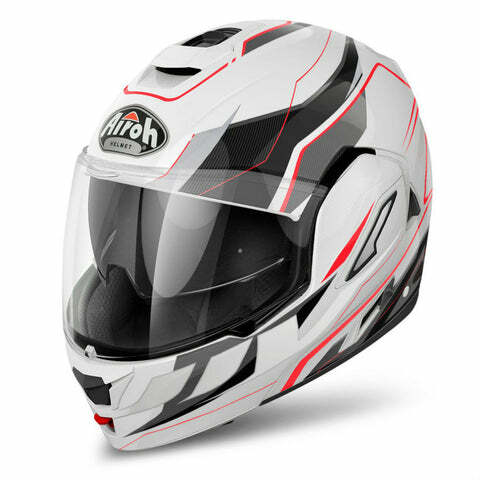 From the lightweight thermoplastic shell, to the extra wide visor for increased vision the Airoh Rides helmet is designed with the everyday rider in mind and even includes an internal sun visor with adjustable height to make those low sun days a ride in the park. 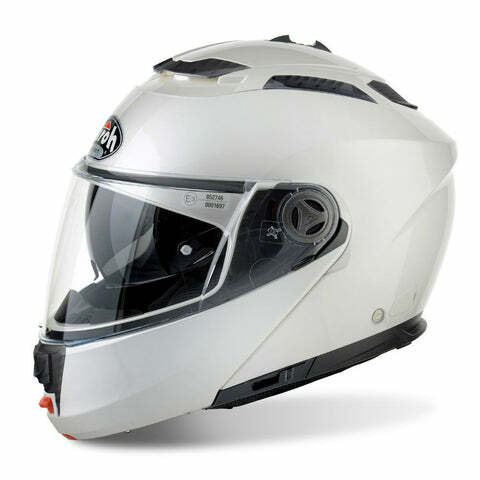 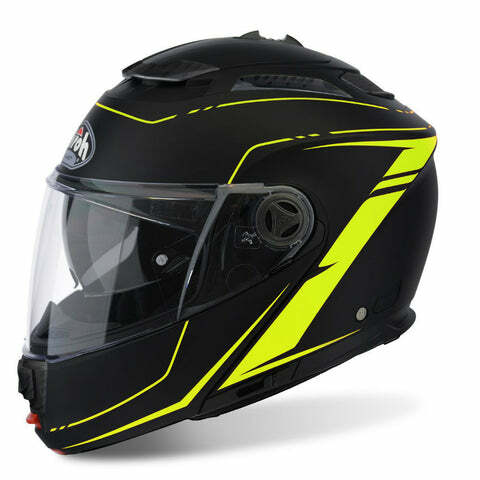 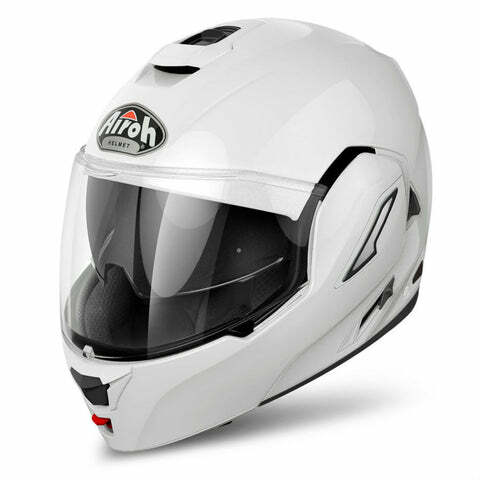 Designed for the most demanding touring, the Phantom S is a flip helmet from leading manufacturers Airoh that promises to deliver no matter what type of riding or weather you put it through. 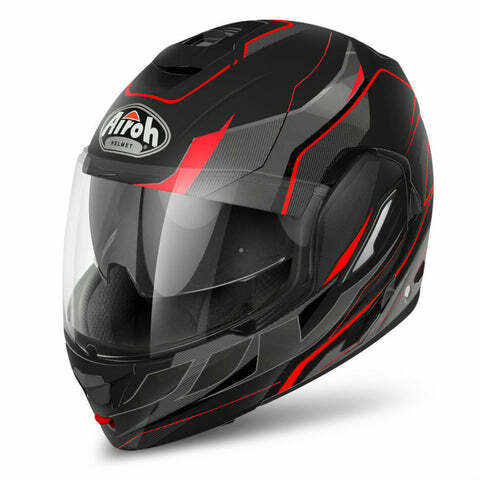 Like most other Airoh helmets the Phantom S uses an extra wide vision lens and positioning to give you the best view of the road and scenery around you whether using the open face or full face option. An integrated drop down sun visor comes in handy to protect from glare and damage to your eyes when the sun drops, and when the sun is up the exclusive ACV system effectively provides ventilation for your head. 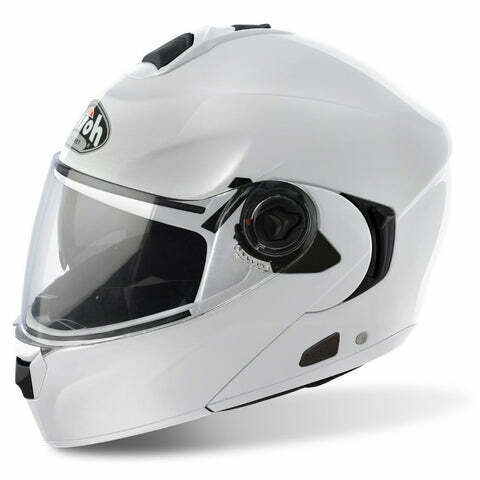 Utilising technology for their modular helmets Airoh have created a flip up helmet that no only make riding more comfortable but a lot more enjoyable. 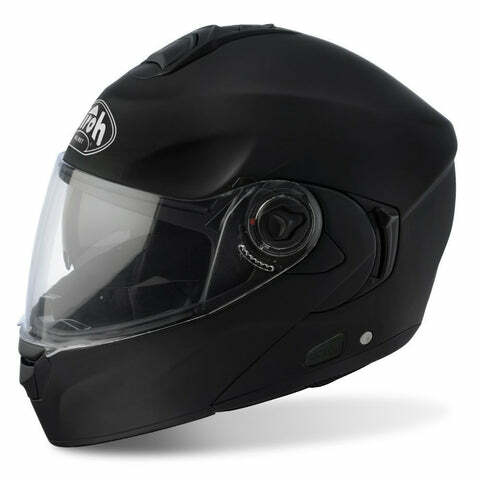 The high - wide field of vision is provided by a tried and test visor position to give you the best view of the road ahead while you speed through mountain ranges. 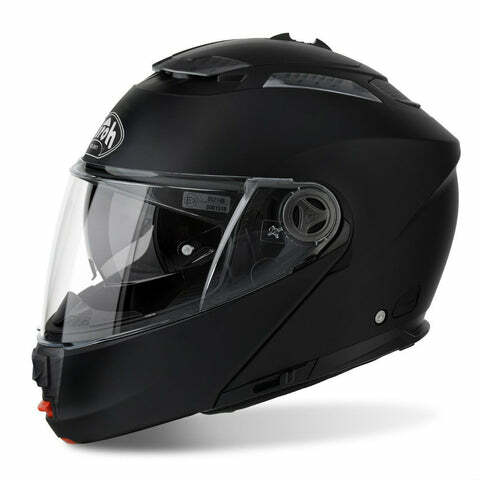 A patented rotation angle of the chin guard makes the flip up action smooth and effortless so no need to stop and wrestle with your helmet, along with improving the helmets style while the chin is in the up position.